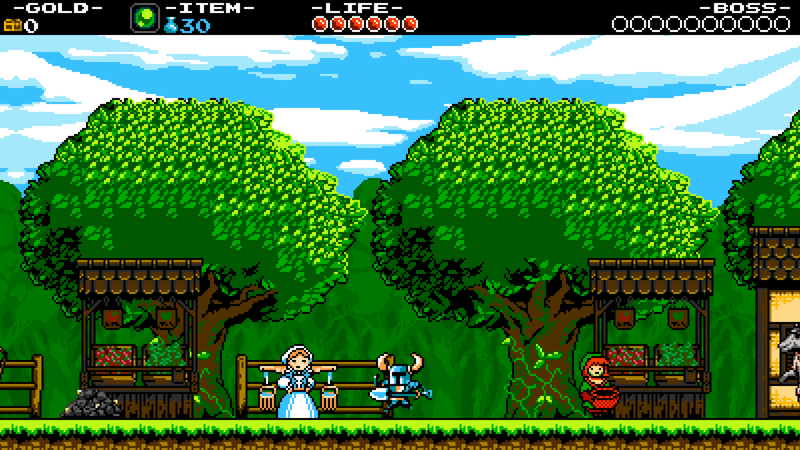 The 2014 indie hit Shovel Knight paid homage to the Nintendo Entertainment System’s pixel art and game design, but its developers also wanted to polish up the harsh edges of 1980s platform games. In this excerpt from Boss Fight Books’ new book Shovel Knight, out today, author David L. Craddock speaks to the four co-founders of Yacht Club Games about the process. With Shovel Knight, Yacht Club intended to evoke the spirit of NES games by refining or expanding on retro tropes rather than copying them wholesale. Shovel Knight’s map screen exemplifies that approach. The map is displayed from an overhead view, a tribute to Super Mario Bros. 3's board game-style of navigation. Unlike Mario 3, Shovel Knight’s map spans several screens. Heavy fog shrouds the right side of the map. 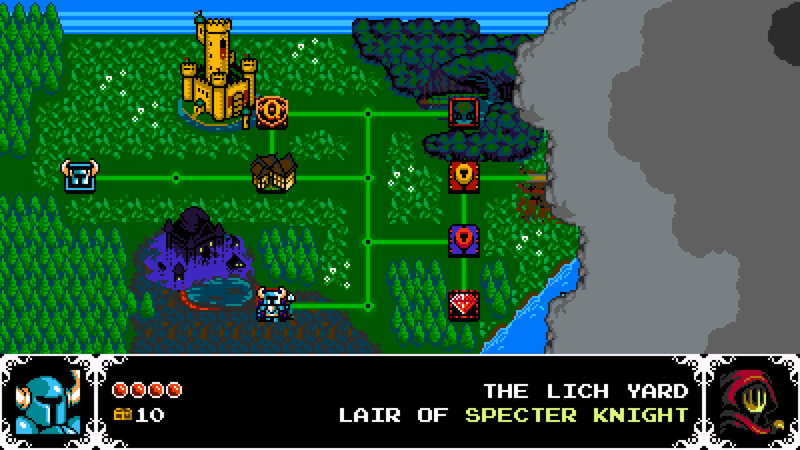 Players start on the far left move their character along a grid that connects tiles representing levels, each inhabited by a knight in the Order of No Quarter. Only two stages are open to players early on. Conquering them causes the fog to recede, revealing more paths and levels. Parcelling out levels enabled Yacht Club to sand down a rough edge in Capcom’s nonlinear progression. Every Mega Man game begins at a stage select screen. Players can choose where to go first, second, and so on. While that approach empowered players to tackle levels in any order, the downside was that they might wind up attempting the hardest stage before becoming grounded in the game’s mechanics. 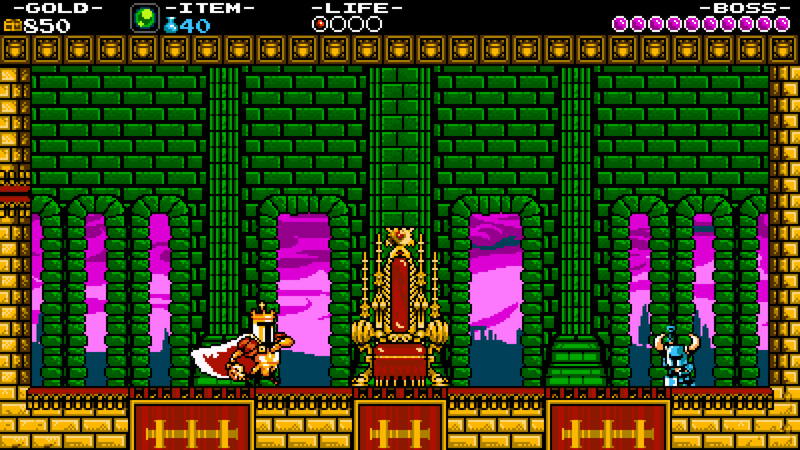 Each of Shovel Knight’s swings, stabs, and jumps is a lesson in offense. The game’s levels are classrooms. Yacht Club’s designers fleshed out their lesson plans, appropriately enough, on two giant whiteboards. One was reserved for business concerns like schedules and marketing ideas. The second was a window into their collective imagination. That window opened widest during brainstorming sessions. When the time came to spitball level themes, everyone swivelled their chairs toward the whiteboard and lobbed suggestions at Velasco, whose marker squeaked as he sketched and scribbled. Fire and ice were staples of Mega Man games, so they needed levels grounded in those elements. Shovel Knight was a game about knights and sorceresses, so a castle seemed obvious. Someone proposed a clock tower as an homage to Castlevania III. Velasco decorated nearly every inch of the whiteboard with coloured marker. Any and every idea for a level that seemed like it would fit Shovel Knight’s world was given equal consideration. Environments were their first concern. Bosses came later, after a stage was far enough along that the team felt comfortable extrapolating a character from an area’s theme. Pridemore Keep, the domain of King Knight, was the first stage the team designed. By virtue of being made first, Pridemore became the proof of concept they took to their first PAX appearance during Shovel Knight’s Kickstarter campaign. “I think that was the one where we were testing out what we should and shouldn’t do, what looked appropriate and what didn’t, how big a character could be, how many colors could be in the background,” Velasco said. Players disappear behind the keep’s elaborate red-and-gold banners when they walk past, an interaction that permitted Yacht Club to treat banner-covered areas as puzzles. On one screen with a series of platforms and pillars, banners droop from one platform to the next. Some banners hide objects such as dirt blocks that Shovel Knight can dig through, and holes that players must hop over to reach clusters of gems. Though they appear simple, those banners would not have worked on an NES. “The whole thing is far outside of NES restrictions,” Velasco said of Shovel Knight as a whole. Nintendo’s 8-bit hardware permitted a single background layer. Pridemore Keep consists of multiple background layers: the sky, made up of purple-tinged or peach-colored clouds, is one layer; the green walls and columns of the Keep against which Shovel Knight runs and jumps is another. Subsequent levels were even more elaborate. 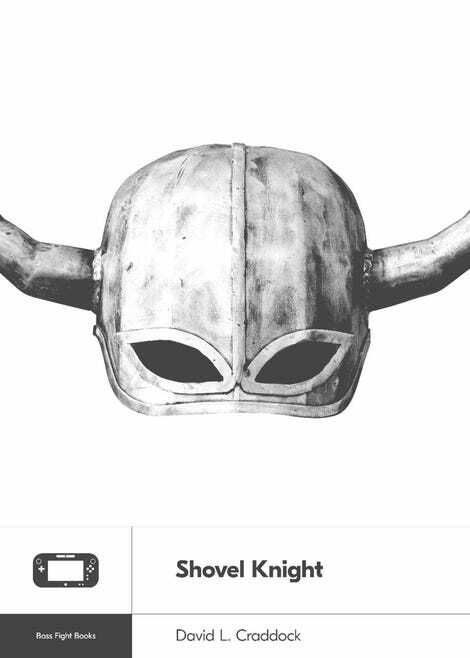 By the end of development, Yacht Club had to double back to King Knight’s stage and add extra frills so the level did not appear too rudimentary compared to others. Aboard the Flying Machine, players battle the elements as well as enemies. 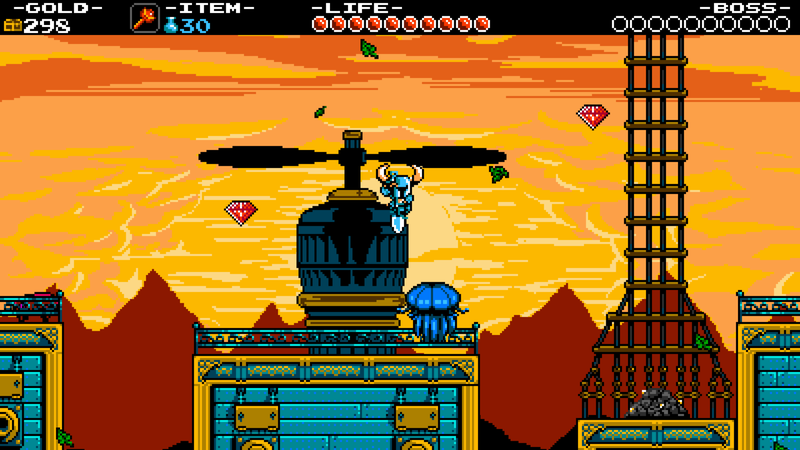 Gusts of wind blow in from every direction, interfering with the player’s control over Shovel Knight as they make jumps. Industrial fans generate currents that players can ride to unreachable terrain. Other fans point toward pits, forcing players to either run against their currents or use them to amplify the arc and distance of their jump. Flying Machine’s trickiest yet most rewarding areas are wide chasms that cannot be crossed by jumping or riding current. Mounted artillery fire lines of cannonballs over the pits in timed intervals. Cannonballs are equidistant from one another, just close enough together for players to pogo from one to the next.